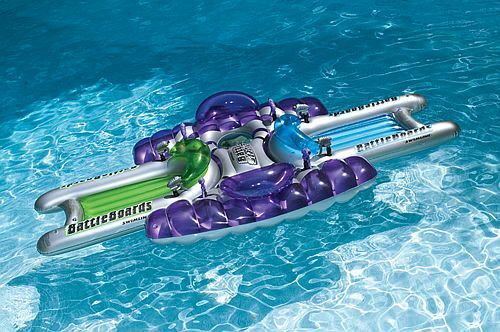 The Battle Station Squirter Set will let the kids engage in head to head squirter battles. Two kids man the mother ship while two individual boats move in for the attack. It's non-stop action! 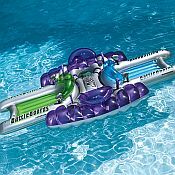 The set includes the mother ship/docking station, two battleboard boats and constant water supply water pistols on all rideables. Boats measure 53" L x 27.5 W and the Docking Station measures 58.5" L x 60" W x 13.5" H.